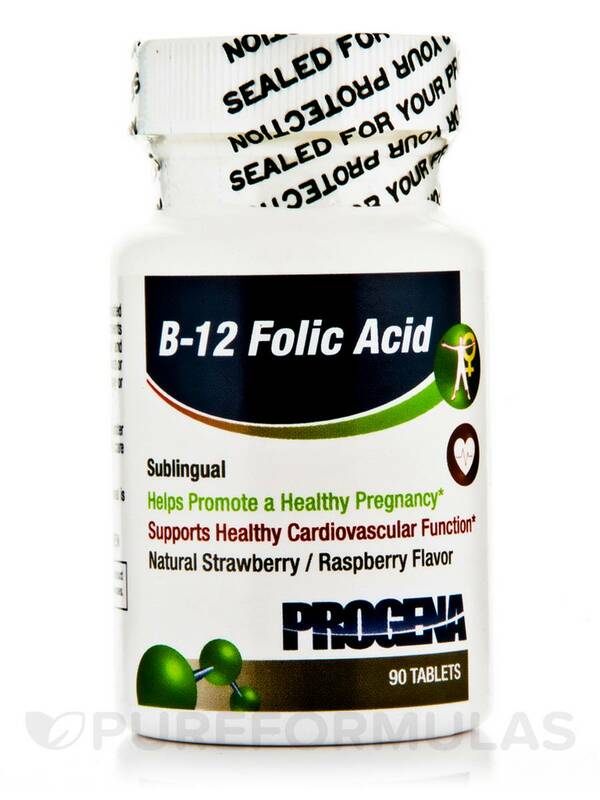 B-12 Folic Acid Sublingual by Progena is easy to take, does not require refrigeration, tastes good and works. 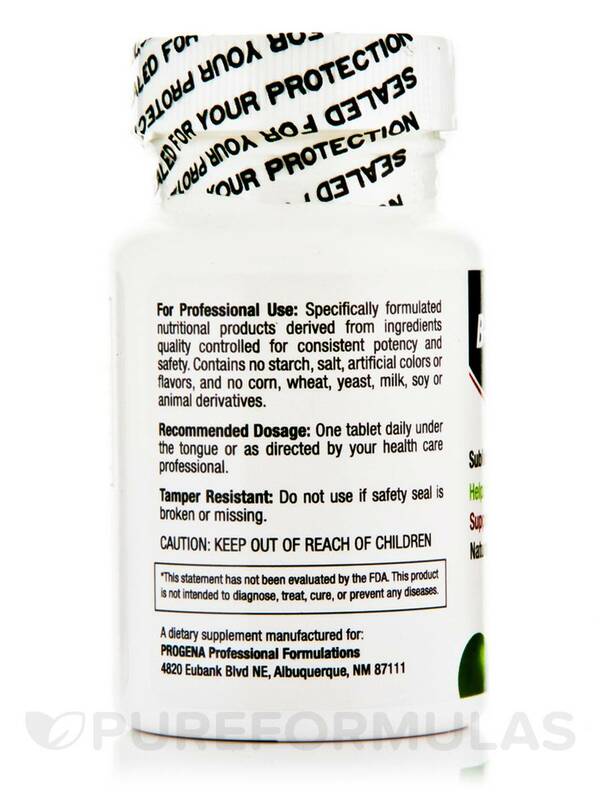 B-12 Folic Acid Sublingual by Progena is a great product as it dissolves under the tongue and is absorbed by your system thoroughly and quickly. B-12 Folic Acid Sublingual kicks in fast and tastes excellent. Unlike the liquid B12s this sublingual version is pleasant to take and the results are felt almost immediately. If you’re looking for a B-complex vitamin supplement that may work to maintain general health‚ you might want to try Progena’s B-12 Folic Acid Sublingual. First‚ vitamin B12 is involved in converting the food you eat into fuel‚ which your body can use to produce energy. In addition‚ this vitamin could potentially work to promote optimal nervous system function. For these reasons‚ each serving of B-12 Folic Acid Sublingual provides 1‚000 micrograms of vitamin B12 in the form of Methylcobalamin HCI. 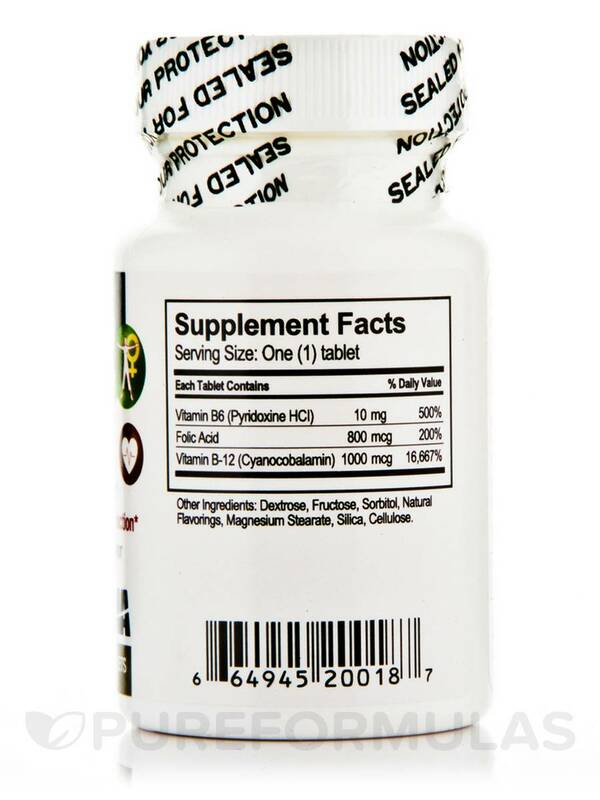 B-12 Folic Acid Sublingual also contains vitamin B6 and folic acid (vitamin B9) because they might work with vitamin B12 to maintain optimal cardiovascular function. Specifically‚ these three nutrients may act to regulate homocysteine levels‚ which is important because excess homocysteine in the blood might contribute to excessive blood clotting as well as damage to the arterial lining. Finally‚ Progena has added natural strawberry and raspberry flavors to these sublingual tablets. At the recommended serving size of one tablet daily‚ each 90-tablet bottle of B-12 Folic Acid Sublingual by Progena should last for about three months. Other Ingredients: Dextrose‚ Fructose‚ Sorbitol‚ Natural Flavorings‚ Magnesium Stearate‚ Silica‚ Cellulose. Specifically formulated nutritional product derived from ingredients quality controlled for consistent potency and safety. Contains no starch‚ salt‚ artificial colors or flavors‚ and no corn‚ wheat‚ yeast‚ milk‚ soy or animal derivatives. One tablet daily under the tongue or as directed by your health care professional. I was told by my doctor to take a sublingual B-12 Folic Acid for better absorption. I have been very pleased with the Progena brand. I get both the elements I need in one tablet. I would definitely order B-12 Folic Acid again.